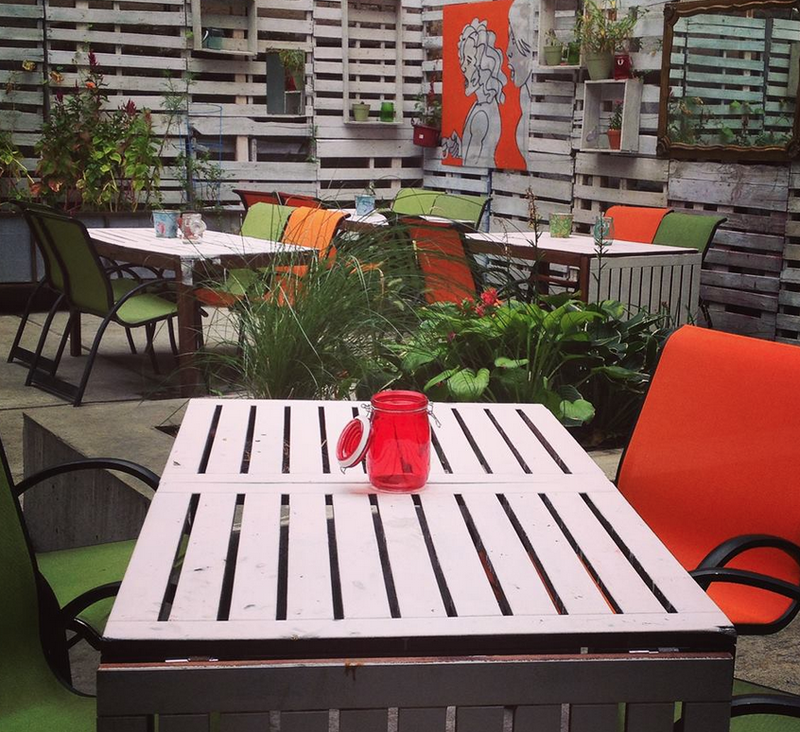 What's your favorite "off the beaten path" spot in Astoria? Astoria has plenty of epicenters: 30th Ave, Broadway, and Ditmars Boulevard all quickly come to mind. These are spots that have an overwhelming amount of options for eating, drinking, shopping, and general entertainment. It’s easy to jump off the N/Q at any of these locations and bounce from a bar, to a restaurant, to another bar, with multiple options and little planning required. If one place is too busy, there’s another one next door! It’s a luxury to have so many awesome choices within a short distance. But what about the places that AREN’T a quick walk from the train, or on a main drag of hotspots? Astoria has plenty of notable destinations that are well worth a special trip, and now that the weather is nice, it’s time to put on those walking shoes and check one out! I had never been to Bear before being invited to check out their spring cocktail menu in early April, and I couldn’t believe what I had been missing out on! Tucked away on the Astoria/LIC border and a fifteen minute walk from the Broadway station, it’s not a restaurant that you’ll pass by every day. But once you try it, you’ll want to make frequent special trips to visit over and over again. Bear specializes in Russian/Ukranian cuisine, and complements the food menu with spectacular cocktails. 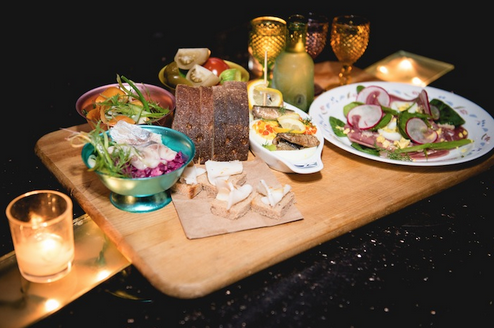 Highlights include caviar deviled eggs, beef liver stroganoff, and their pierogies, which rival the best in the city. Even if you haven’t been to Singlecut Beersmith‘s tap room on 37th Street, you’ve probably seen their beer on a menu in Astoria. 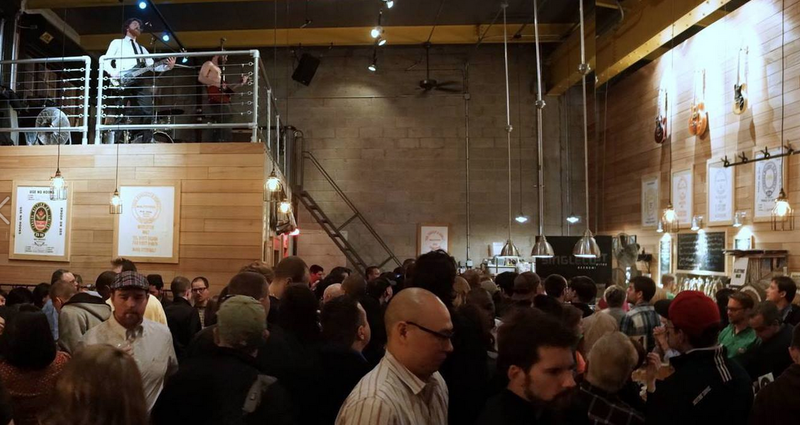 Since opening in 2012, the folks behind our local powerhouse brewery have made a point to create relationships with local bars and restaurants, resulting in their beer being offered pretty much anywhere you like to hang out. Despite the beer’s ubiquitous presence throughout the neighborhood, the brewery itself is a worthwhile destination. For beer lovers like me, it’s pretty much heaven: you can purchase beer by the pint, flight, or growler, and enjoy complimentary tours on Saturday and Sunday. They also offer live music, and cool events like the US Air Guitar Qualifier. If someone were to ask me, “What’s The POP BAR close to?” I would have no idea what to tell them. It’s THAT far out of the way, on 14th Street and Astoria Boulevard. But once you’re there, you feel like you’re in a true “locals-only” spot. With an impressive cocktail and appetizers menu, and an inviting outdoor seating area, it’s the type of place you’ll want to spend hours enjoying. They also host events like karaoke, live music, and Game Of Thrones watch-parties, so there’s something for everyone! Who would like to join me for a cocktail outside? 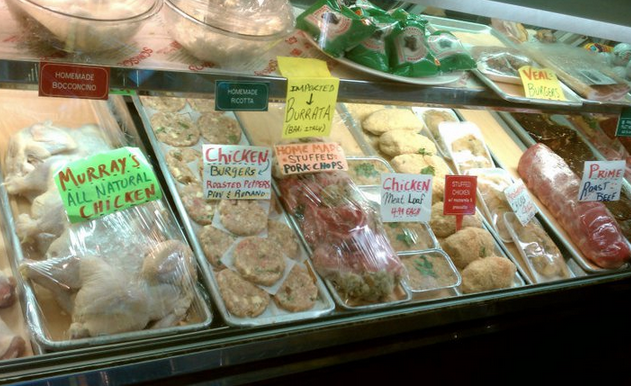 When my former roommate moved to Astoria, she was immediately charmed by Sorriso Italian Pork Store, and began taking a stroll there every Saturday morning. And for good reason: their food selection and customer service can’t be beat! Their meat, cheese, pasta, and sauces are mouth-watering-ly fresh, and once you walk in, they take care of you like family. The shop IS on 30th Ave, but it’s a good walk from the cluster of bars and restaurants that make the avenue so buzzworthy. Before you get your Mario Batali on and cook a big Italian meal, stop in here for stellar ingredients. I’ll take one of everything; thank you! 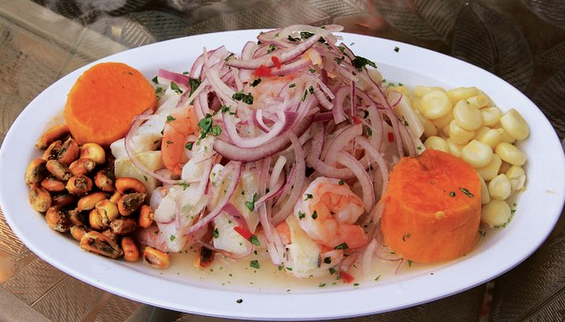 Authentic Peruvian food is right here in Astoria at this under-the-radar gem. I’ve never seen the dining room very busy, perhaps due to the location, which leads me to believe that they do a steady takeout/delivery business. If you’ve never tried El Ancla before, expect quality seafood, soups, and many varieties of chicken. For the brave, they also have more adventurous dishes like beef heart and goat stew. If you’re looking to take a break from pizza and burgers, this is a great spot to do it! This plate of seafood was well worth the trip! What are your favorite spots to walk to? Share with us in the comments!